Events have been my passion since I volunteered at my first event in 2015. The organisation, collaboration and excitement that goes into the planning and the final product has made me love all the excitements and stress this industry holds. Leadership, managing a team, working independently and within teams, liaising with catering suppliers, event attendees & keynote speakers, time management, communication skills and organisation. My time at Firefly Events has exposed me to the corporate events industry. Allowing me to help facilitate large industry events with over 500 people. Leadership, working independently and within teams, liaising with catering suppliers & keynote speakers, time management, and organisation. As Semester 1 Workshop Director of student club, QUT Women in Business, I facilitated and co-organised 'Suited for Success' alongside the AMPed Event Officer, Lauren O'Neill & Corporate Liaison Natalia Gonzalez. A networking evening, attended by over 100 people, filled with professional headshots, food, drinks and shared knowledge provided from four amazing keynote speakers. These inspirational speeches & advice on networking, work-life balance, forming beneficial relationships and personal branding, led to fantastic takeaways for all student attendees and made the night a great success. 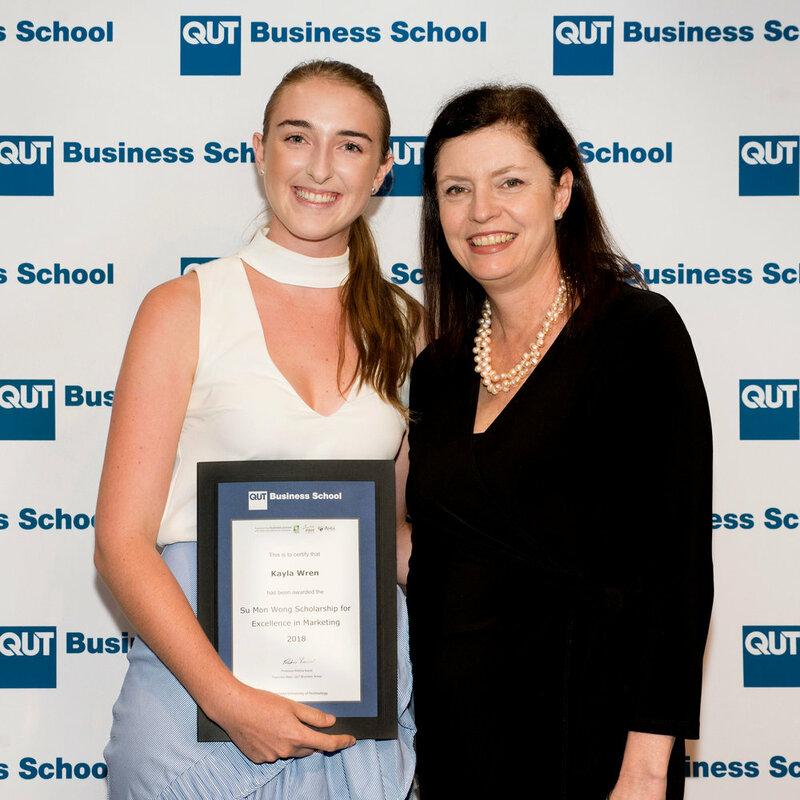 Here is a recap of the event written by QUT WIB. Improved email etiquette, working independently and within teams, liaising with catering suppliers, beverage companies, brands and online influencers. During my three months as Beginning Boutique HQ I was lucky enough to be involved in two of the global brands largest events of 2017. With over 100 attendees and dozens of high-profile online influencers, both events were in celebrations for brand and product launches. 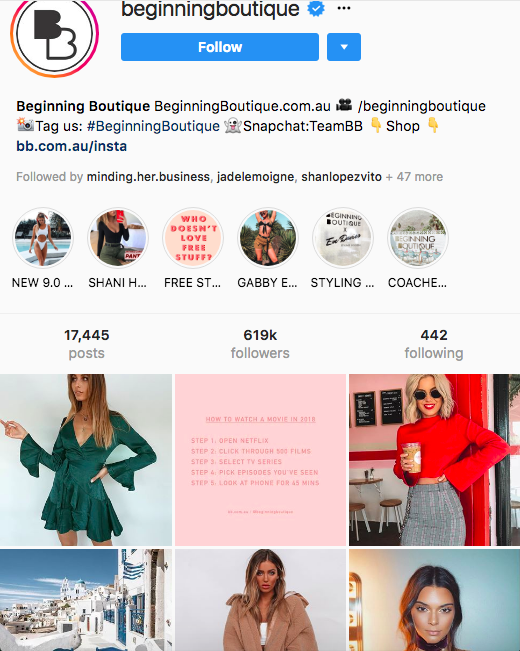 Working alongside Jade Le-Moigne, Marketing & PR Director at BB, I communicated and organised collaborations with local brands and influencers to achieve mass exposure through Instagram and Facebook. Recap of BB Splendour Event & 9.0 Swim Launch Party. Working under pressure, attention to detail, leadership, communicating with attendees, teamwork, confidence in large crowds and providing help and guidance when necessary. Business Chicks has me volunteering over and over again due to the lovely culture within their team and the opportunities they give to their volunteers. At the last three events there has been over 900 attendees, inspirational women speaking and opportunities to learn and act in leadership positions within the team. These events have given me the confidence to communicate, work under pressure and in the demand of hundreds of women. Working under pressure, communicating with attendees, teamwork, confidence in crowds and providing help and guidance to attendees when necessary. The 2017 Mercedes Benz Fashion show encouraged me to meet new people and bond with them quickly to work efficiently in teams. As front-of-house staff my main role was to communicate and usher attendees to their correct seats and help anybody who had issues or needed guidance. The opportunities I have received from QUT have shaped my career and given me the confidence necessary to succeed in the industry. The below information outlines achievements and work I have undertaken during my three and a half years at QUT. At the end of 2017 I was honoured to have received this life-changing scholarship. I pride myself in taking every opportunity that comes my way and am now being recognised for that from the QUT Business School. This scholarship was awarded for my har work at QUT & in practice, alongside my contribution to QUT. "The Su Mon Wong Scholarship Program has been established to award an annual Su Mon Wong Scholarship to an outstanding marketing student in their final year of study. Each scholarship recipient will demonstrate the values embodied by Su Mon Wong throughout his QUT career: leadership, innovation and a commitment to excellence in marketing and business practice. The Su Mon Wong Scholarship for Excellence in Marketing is named in honour of long-term former QUT marketing lecturer, Su Mon Wong, who served the Faculty of Business, students and alumni for 34 years before retiring at the end of 2009." The Golden Key Society is the world's largest collegiate honour society. I was invited into the Society in December 2016 due to excelling into the top 15% of QUT students. "As an international honour society with more than 400 chapters at colleges and universities around the world, Golden Key is committed to a high standard of scholastic achievement, and an ethos of integrity, innovation, respect, collaboration and diversity." The Deans List comprises Business students who, in a given semester complete a minimum of 24 credit points towards their Business degree while achieving a Grade Point Average of 6.50 or above for that semester of study. I have been apart of the Business School Dean's List since 2016 due to my excellent academic results. In May 2018 I was given the opportunity to be apart of the QUT Giving Day Campaign. During the campaign I was required to undertake alumni engagement tasks such to reconnect and encourage participation. This experience aided in my strong communication skills and phone call etiquette. Negotiation and sales were also key tasks within this role and gave me the chance to develop and experience both wins and losses to better my sales strategy throughout the campaign. Project management has always been an interest of mine from the planning stages, executing plans and closing the projects. I also love managing teams and meeting client expectations. Leadership, working in teams, liaising with other societies, catering suppliers & keynote speakers, time management, social skills and organisation. AMPed QUT is the advertising, marketing, PR and international business society. We officially have over 400 members for 2018 and plan on reaching 500 before the year finishes. Our executive team is the strongest it's ever been, with myself being appointed secretary. As a 'top four' exec member I am responsible for co-managing our team of 15, and actioning tasks to be completed for upcoming events. We organise and run events that provide QUT students with real-world skills and opportunities to ensure they have the confidence to exceed in their industry. Leadership, organisation, working in teams, time management, innovation, and social skills. As part of QUT's AMB240 Marketing Planning and Management students are required to develop an authentic product or service and create an a business with four other students from the class. I paired with four strangers to bring EKO Plants and Pots to life. An economically friendly succulent business, up-cycling used cans and turning them into luxe decor. During the three month project I was the Marketing Manager of my group, representing our team and overseeing decisions. We choose to create a predictable product to show our tutors and lecturer that we could succeed in a saturated market. Due to our stance on environmentally friendly products, EKO sold out of products on both market days. More information on QUTopia here. I have been involved in various publications including QUT's Frock Paper Scissors, the Straddie Island News and Beginning Boutique's Blog. In 2017 my article was chosen to be featured in Frock Paper Scissors. This magazine is published solely by fashion students at QUT, both online and in paper. I had the pleasure of overseeing the Autumn 2018 issue of Straddie Island News. This magazine is written for distribution on both North and South Stradbroke featuring local stories and local advertising. I was also involved in contacting and organising the advertising spaces. Over my three months at BB I was required to write blog posts everywhere on fashion, beauty fitness and lifestyle. More articles here, here, here and here. Social media is a key part of business and has been one of my consistently repeated roles in different companies. Throughout my experience I have had the opportunity to create themes and implement 'influencer' contracts to enhance brand identity and heighten brand awareness. Different software I have been exposed to includes, Hootsuite, Canva and Later. My main tasks within these roles were/are captions, scheduling, theming, and designing announcements in Canva.